Since JZ and JT just played in Boston this past week, I thought it apropos to discuss Beyonces new do. Which BTW, I consider a dont. And if you ask most of my friends, theyll agree. Ill get you their Twitter handles later for any argumentative DMs you might have. Regardless of what we think, shes stuck with it for the time being. So I tapped owners Vickey Shen and Sue Ko of San Frans wicked trendy salon Wicked to help her tame her now-short main. Short and Chic: For a chic, everyday look, blow dry hair until smooth. Then they suggest following up with a soft, moldable wax. A few of my favorites are Bumble & bumble&apos;s Sumotech and Bed Head&apos;s Candy Fixations Mega Whip Marshmallow (the second one smells divine). This will add significant texture and movement to your hair. A Short Romance: For a romantic look, soften up your locks by applying a mousse, such as Defining Creative Moulding Foam Unisex by Davines. After smoothing it in, let hair air dry, or use a diffuser to let natural texture shine. Compliment your softer do by wearing lighter, neutral makeup such as pinks, nudes and bronze. Old Hollywood: For a glamorous evening look, step up the drama by simply slicking all your hair back using a wet gel. 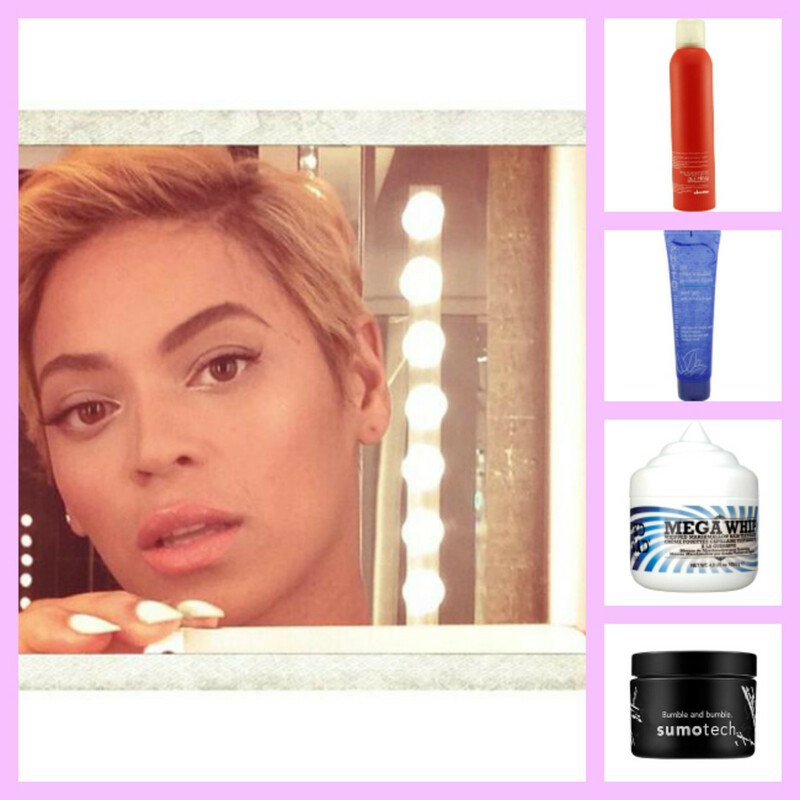 These formulas give you that coveted "wet look" that brought Bo Derek through the &apos;80s, and now you through &apos;13. Give Phyto Professional Wet Gel a try, or their suggestion of V&G Crystal Styling Wax, which is a good selection if you can find it. Wear heavy eyeliner with bold, smokey eye shadow to finish the look. I have always respected the pixie cut, just not for me (and for only a few ladies). But I guess if I had liked it, then I would have put a hair thing on it. Achem. Anyway, I applaud Bey for giving it a shot. What do you think of her new look?